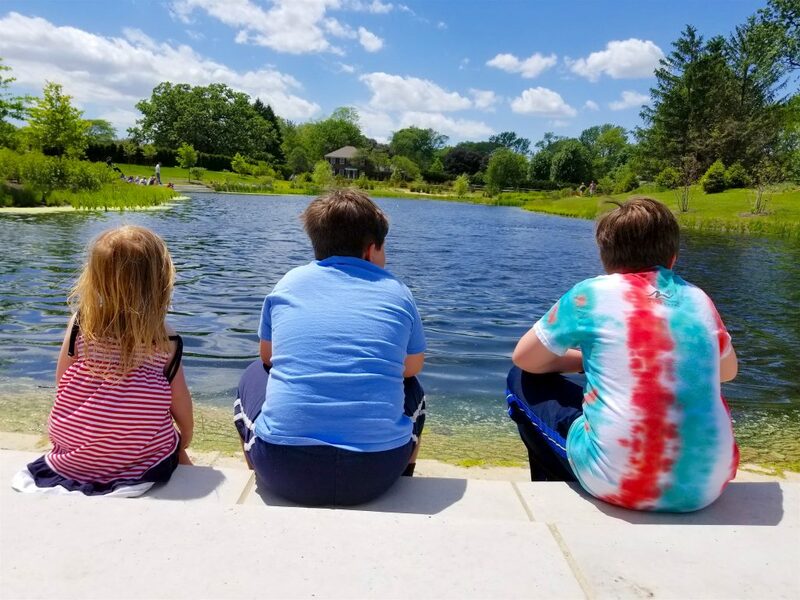 Camping with kids can provide a special challenge all on its own but to be honest with you – ALL of these items below are needed when you camp, even if you are camping without kids! I have partnered with GOJO, the maker of PURELL® products, for this post, however all opinions are my own. It’s no secret that my family loves camping! Last year we owned a travel trailer but unfortunately it was in a bad accident and was irreparable. So this year (and next year!) we’re tent camping! In fact next year we’ll be tent camping with kids across 7000 miles of the USA! I can hardly wait! Trust me when I tell you that we have taken road trips in all sorts of weather, sickness, and adventures across tens of thousands of mile! From cave exploring to history museums, severe bouts of sudden flu, flat tires and family emergencies – we’ve done it all! FUN FACT! Did you know that the FIRST-EVER hand sanitizer and was invented by the PURELL® brand in 1988?! I can’t stress enough HOW IMPORTANT it is to have fresh water with you at ALL times! Every time we head out to go hiking, camping, or on a road trip, I fill up a water bottle for each person in our family (that’s 5!) AND I put a gallon jug of water in the car. We don’t always use the extra gallon but when we do it was very needed! Whether it’s a hot day and you need extra water, your car breaks down driving through the desert, or one of your children gets sick in the car – you will be so glad you decided to bring the extra water with you! In some rare instances you can use your gallon of water in an emergency if your car overheats (temporarily). Honestly this is one of those things you should just keep in each of your cars all the time, but you should especially have a first aid kit and supplies easily available while on a road trip and camping with kids! Bandages, antibiotic ointment, gauze, anti-itch cream, tweezers, fingernail clippers (for cutting and scraping) and medical tape are some great starter suggestions! Soap and water of course is always best when possible but these wipes are so handy for cleaning my kids hands! Do you have any idea how many worms, frogs, snakes, and other critters my kids catch? And they’re even MORE handy tip clean your hands off when you’re hitting a campground bathroom (just saying!). I learned this vital tip REALLY quickly after my two adventurous boys came along! They’ll jump in any lake that we come across regardless of what they’re wearing! Recycle used plastic grocery bags to hold wet clothes, muddy shoes, trash, camping dishes, bath towels, beach toys and more. Plastic grocery bags are also great to store messy shampoo or sunscreen bottles when the caps have broken! Do you know many gross fly infested grimy picnic tables we have come across in our years of camping?! A LOT! 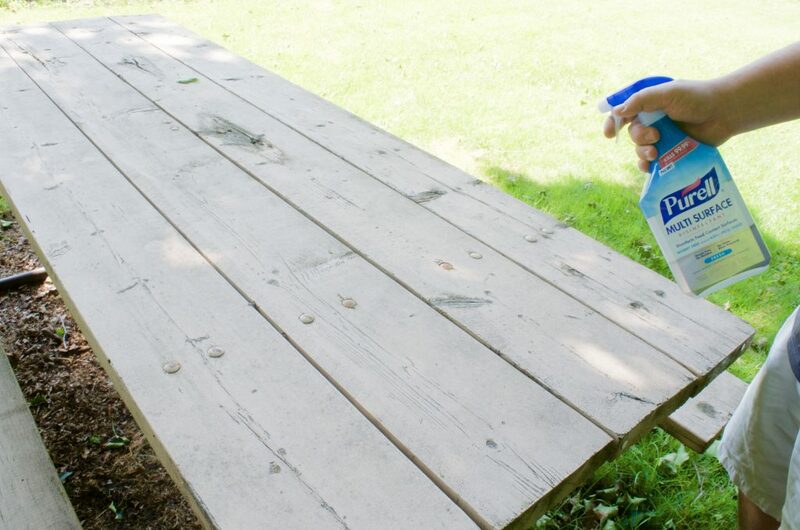 You can use this stuff to spray down picnic tables (and bathrooms!) and other food-contact surfaces worry-free! There’s no harsh chemicals or toxic residue (no bleach!) and you don’t have to rinse it off before prepping food! And let’s be real here – if you are travelling or camping with kids you will inevitably take a trip that ends up with a potty accident or some sort of illness in your camp. From vomiting to pooping to everything else in between – there’s nothing worse than camping as a family and feeling germ-infested! I wish I could go back in time and bring a bottle of PURELL® Multi Surface Disinfectant with me to disinfect our tent, car, and even hotel room! Bug spray is one that I never really used to use, but after finding numerous ticks over the years crawling on both myself and my children we now use a strong bug spray and cover our shoes at the very least. Mosquitos can also carry some pretty gnarly diseases so this extra step of precaution for your family is pretty important. When bringing food for any kind of camping trip you should also pack airtight containers! This will prevent the bugs, small animals (like raccoons which can carry rabies), and yes, even bears out of your campsite! This is one tip I wish I had known when we first started camping as a family! Most of the time we are pretty nice quiet campgrounds and people are respectful of those sleeping around them. But several times we have ended up at the “party” campground where it seems noise restrictions are just a suggestion. To be honest I don’t know HOW my kids ever fell asleep those nights without a white noise machine! There are plenty of free white noise apps that we use on our phones as well but they can quickly drain your phone battery which I highly recommend keeping well charged while you are camping! I absolutely recommend at the very least having a phone with you, although I know typically most of us are pretty glued to our phones! While you may not get the best cell reception if hiking backwoods you can use GPS apps, compass apps, and of course send out messages in case of an emergency. You never know what will happen when you are camping with kids! It can also be used to snap a photo of a snake or insect you are bitten by for later confirmation of species. Especially helpful when camping with kids, one bag of busy items and activities to keep your kids busy during the down time is vital! It doesn’t have to be anything fancy. Add in a ball, a few resealable bags, binoculars, etc. Our family does a lot of hiking and cave exploring when we go on road trips and camping. Not only do we love the outdoors and nature but we also get great exercise while hiking and save a lot of money in the process! Although we have a safety rule of always hiking with at least 2 people together, I’ve taken careful precaution with our kids because things do happen. Paracord bracelet – Each of my kids wears a paracord bracelet while we are hiking. The bracelets have roughly 8-10 feet of paracord in them and come in handy if lost. Whistle – A whistle is an absolute must. If you are lost your whistle can be heard much further than your yell – especially when you’re tired! Pocket Knife – YES – each of my children carry a pocket knife with them in case of emergency and understand how to use it safely. This can be used for protection as well as for cutting wood. For my kids once they turn about 6 (depending on the kid) they get one. 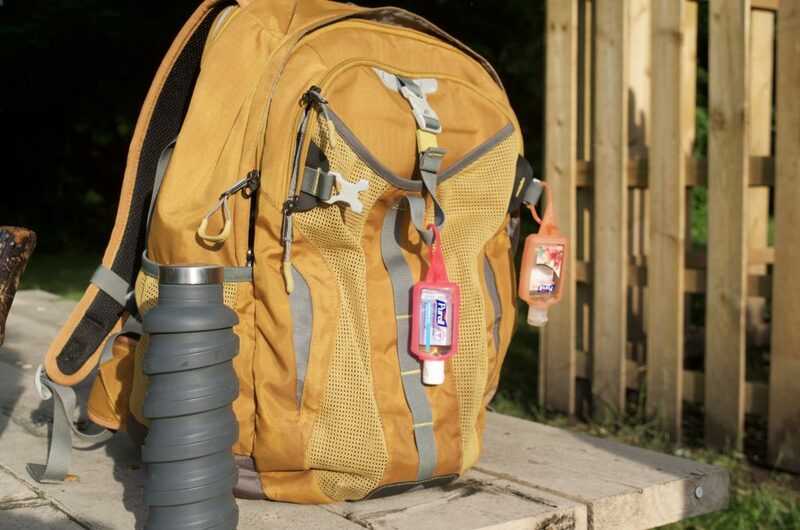 Filtered water straw – If we are hiking across large areas like in the mountains or through national parks I’ve recently added a filtered water straw into my children’s backpacks. Should they ever get lost this type of straw will allow them to safely drink from any river or water source. woods as well as contain any small animal that has bitten you if you’re concerned that it’s poisonous so it can be identified. Protein Snacks – Even if I don’t think they’ll eat it I make my kids pack protein snacks in their backpack in the unfortunate event we were ever separated and they needed food. Compass – Your youngest kids might not understand how to use a compass but as your kids get older this is a great tool to learn how to use! These are all awesome tips. It’s so easy to forget things when you pack for a camping trip. I have to get some of that spray! 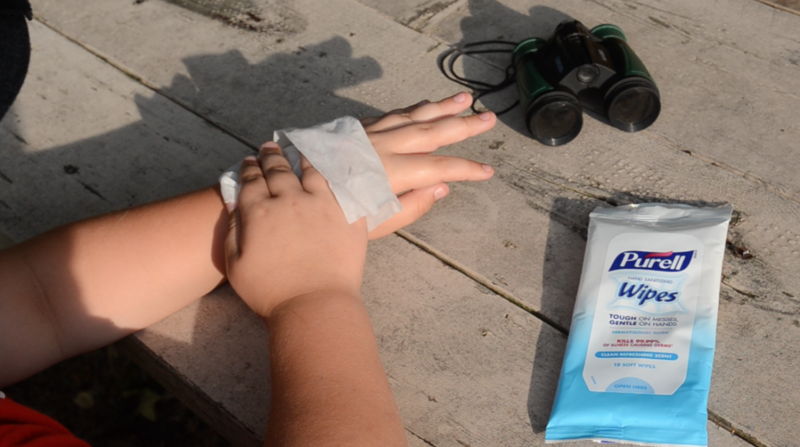 Having sanitizing wipes is definitely important when you’re in nature! Don’t want to waste drinking water by washing your hands! YES!! That is so true! Drinking water isn’t always easy to come by when you’re out camping! I remember when I was a kid. My dad and us kids would “camp”… And by camp I mean, we would leave the main house around 8 or 9 pm. 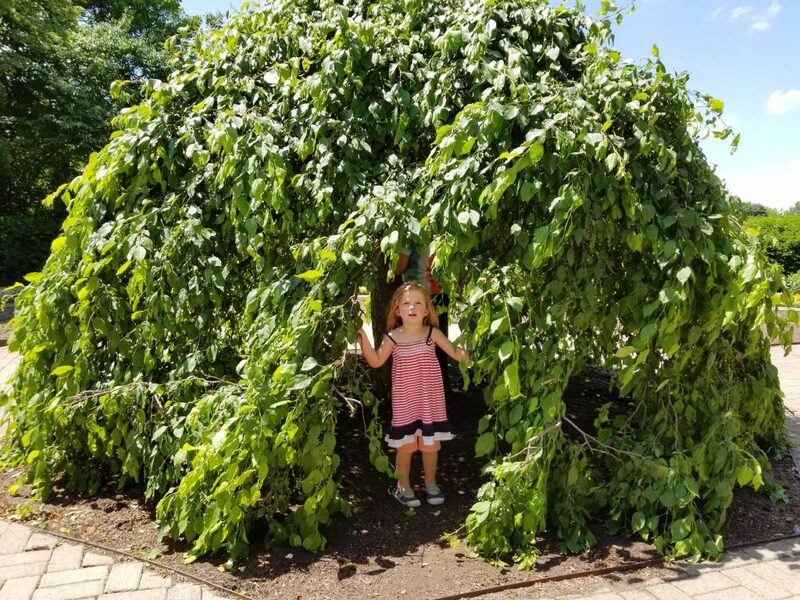 Walk around the perimeter of our property with our backpacks filled with overnight clothing… And then finally wind up at the POOL HOUSE where we would spend the night eating ice cream as my dad made up bed time stories! 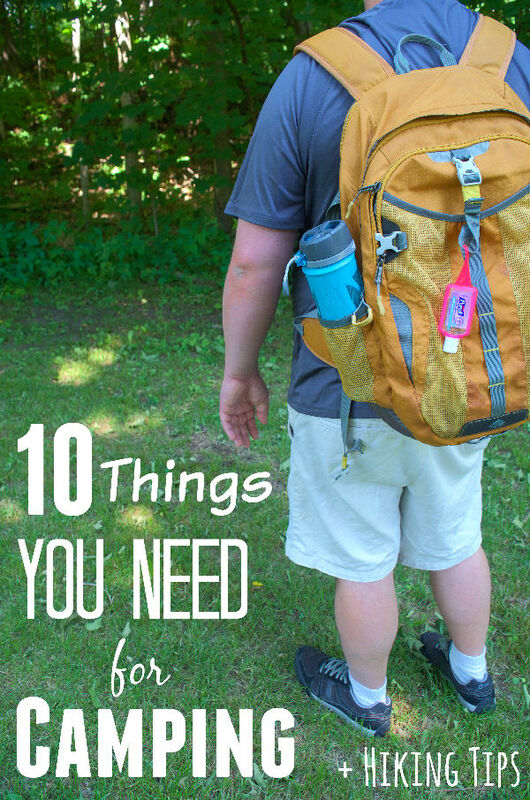 It has been so many years since I went camping, these sound like some really great tips to help make it as easy as possible to camp with kids! Great list! Our state park cabin experience was a blast and even then we needed basically all of this! I haven’t been camping since I was a kid. I can’t wait to take my girls. I think they will love it. 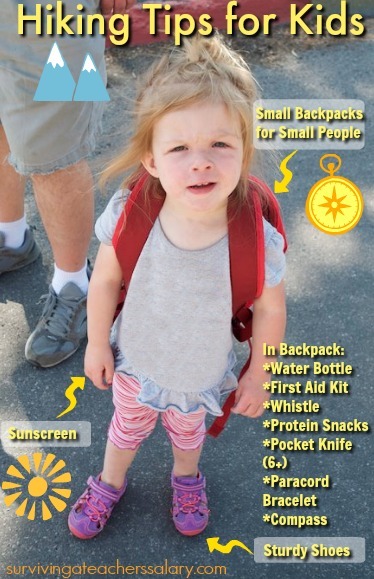 These are all excellent tools for your children to carry while camping. Our youngest daughter is three and still a bit too young but she is learning early survival skills while listening to her big sister learn too. I have never heard of or seen the purell multi-surface spray. I would be all over that. I’ve never been camping but this looks like it was so much fun and your tips really helped make your experience so much fun. My husband and I go camping all the time. While we don’t have children, I agree with all of these tips. Such a great family vacation! I feel like these tips can apply to many situations, not just camping! I always have Purell wipes in my purse. I have never been hiking. But I must say that this is the most comprehensive post I’ve read on how to prepare for a hiking trip. I love the idea of the water filtered straw! Love the camping tips here for kids. My kids have been talking about going camping for some time now. I can’t wait for our family camping this Saturday, got all the important stuffs we need. Thanks to your list! I have never been camping before but it sounds like fun. And also I think it’s brilliant that you’ve taught your kids to protect themselves safely. It’s been so long since I’ve gone camping but I’m hoping to plan a trip for this summer! Great post and reminded me how much I love camping and that I need to plan one this summer. We don’t have kids but we like going just the two of us with my husband. This article is just perfect! The entire family is going camping this summer and we’ve never done it! So sharing this with everyone. I’ve never been camping let alone with kids but these sound like great tips! I’m sure they will really help family’s out! Great tips! I could use this list for myself! Haha Hoping to take my niece sometime soon. She would love it.